Scribd is the Netflix of the publishing world – offering readers unlimited access to a library of more than 1 million books and audiobooks, magazines, and other documents for a monthly fee of $US9. On Wednesday, Scribd announced a brand new service, bundling a Scribd subscription with a subscription to The New York Times for $US13/month. After eleven years and multiple pivots, Adler is confident in Scribd’s current path and believes his team can build a subscriber base of similar scale to Netflix and Spotify. 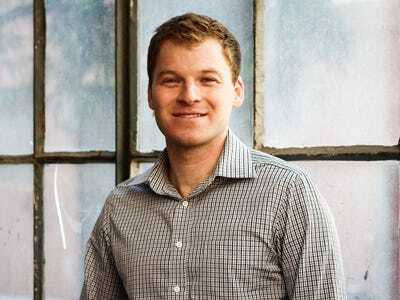 Scribd’s mission is “to change the way the world reads,” but its CEO Trip Adler says that mission came about by chance. “We kind of got into books a little bit accidentally,” Adler told us. Initially, Adler and his co-founder Jared Friedman set out to help Adler’s father publish an academic paper online – a process that took upwards of 18 months before the first iteration of Scribd was built. At the time, there were blogs for publishing a few paragraphs of text, Adler explains, but blogs didn’t work for publishing a 10-page academic thesis or scientific paper. And so, Scribd was born as a place to put longer documents on the web. “We were good for taking things that were already written and getting them on the web,” Adler said. Quickly, people other than Adler’s father started uploading content via Scribd, which attracted more readers. Those readers then started uploading content of their own. “We got a nice viral loop started, and pretty soon we had tens of millions of users,” Adler tells us. Eleven years and a few pivots later, Scribd considers itself the Netflix of the publishing world – offering readers unlimited access to a library of more than 1 million books and audiobooks, magazines, and other documents for an $US8.99 monthly fee. On Wednesday, Scribd announced a brand new service, bundling a Scribd subscription and with a subscription to The New York Times for one monthly fee of $US12.99. For context, a subscription to The New York Times alone costs $US15.99 per month after introductory rates, a Times spokesperson told us. “It’s a great step forward for readers and a great step forward for our industry,” Adler says of partnership, which is the first time his company has provided readers full-access to a news publisher. Those interested in the bundle package will sign up through the Scribd app – where they can access the Scribd library – but will be provided separate login credentials to The New York Times. Though Wednesday marks a significant milestone for Scribd, the past eleven years haven’t been easy for Adler, who says he’s averaged 90 hour work weeks since co-founding the company. One of those moments came in early 2016, three years after the company had first launched its subscription model, according to a report by Fast Company. The team realised it was losing too much money on subscribers who were voraciously reading 100 books per month, mostly in the mystery and romance genre. It was also taking a major hit on those accessing scientific and technical books that cost Scribd $US50 to $US100 in licensing fees per read. In February 2016, to keep the company from financially going under, Adler and his team cut off unlimited access to their library and limited readers to three e-books and one audiobook per month. In February 2018, Scribd re-launched its subscription offering with new content and a new model to curb the consumption that cost the company the most. Readers now have unlimited access to Scribd’s content library until they reach the upper limits in a given month, at which point they will be given a narrowed offering of titles to choose from for the rest of that month. Adler is confident in his company’s current approach, and is especially bullish on the subscription model for books, given the success of other content subscription services like Netflix which has over 130 million subscribers and Spotify with over 80 million subscribers. Today, Scribd has 800,000 monthly subscribers, growing at 50% per year. As for what his favourite recent book, Adler doesn’t stray far from the Silicon Valley zeitgeist – “Sapiens: A Brief History of Humankind,” a popular book with the tech intelligentsia, would be his choice. And, as he points out, it’s available on Scribd.